A professional mold remediation company will have many tools at their disposal to eliminate mold from your home or business in Atlanta, Georgia. Because mold needs moisture to grow, mold removal projects often begin with water extraction work. This work can be completed with water extractors, fans, and de-humidifiers, and moisture meters can be used to measure progress. If there is extensive mold growth in your home or business in Atlanta, GA, the mold remediation company you hire may deem it necessary to quarantine the problem with containment barriers. The contained space will be put under negative pressure, and air scrubbers equipped with HEPA filters will pull mold spores from the air. During the remediation phase, the company you hire should use advanced peroxide cleaners and fungicides to fully eliminate the hazardous mold growth. These sprays will also destroy many other pathogens, which is why they are used to sterilize hospitals and other places where cleanliness is key. 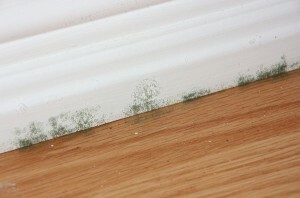 Finally, preventative mold treatments can be used to keep mold from returning. The most reliable coatings will come backed by warranties that state that any mold that reappears on the treated surfaces will be remediated free of charge. If you want to find a mold remediation company that can effectively rid your home or business of hazardous mold growth, turn to Abatement Solutions, Inc. Unlike the companies that only offer mold services part time while they focus primarily on their main line of work, we specialize in mold remediation and have exceptional expertise. Contact us today for more information.